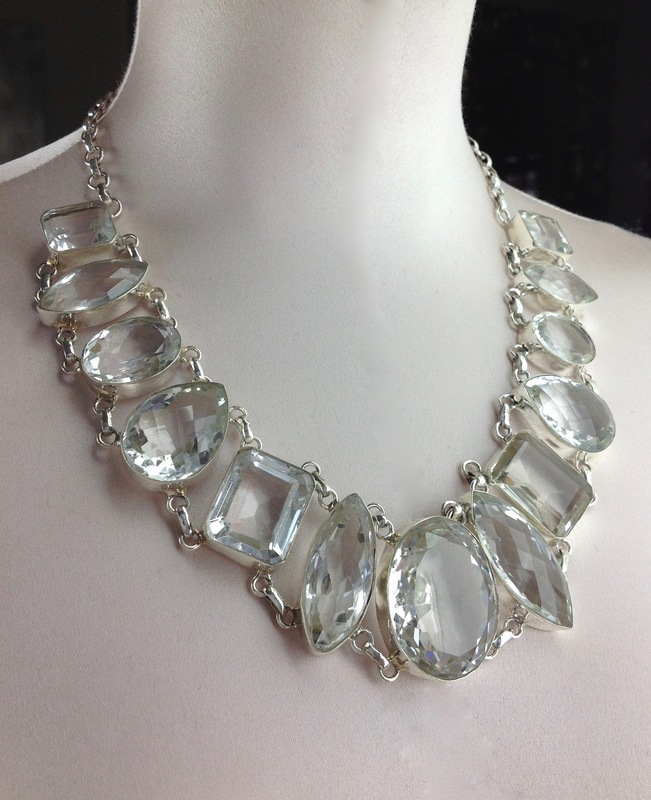 (13) Quality Clear Faceted Quartz Stones in unique shapes and sizes all hand-mounted in sterling 925 silver bezels and linked together in a sterling 925 silver chainlink & clasp.. 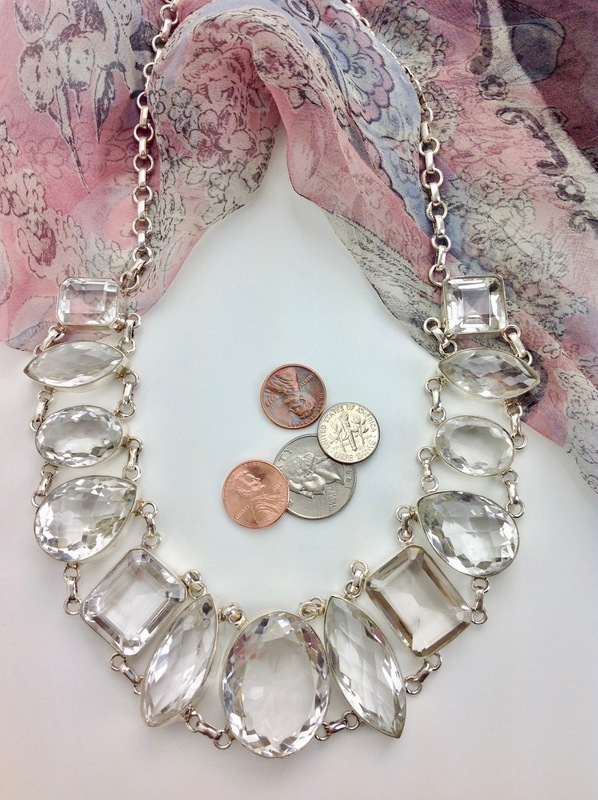 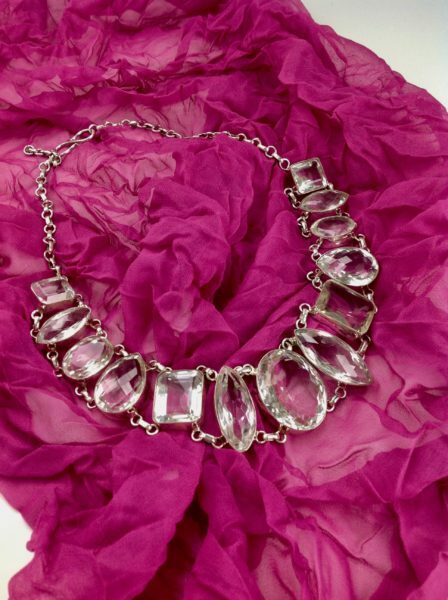 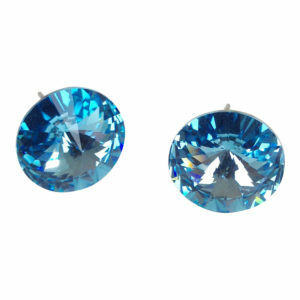 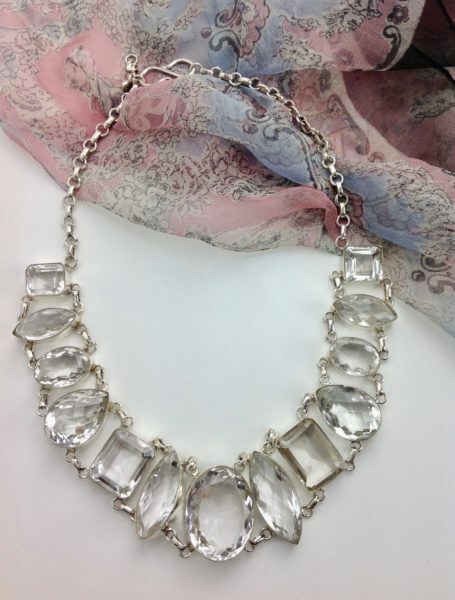 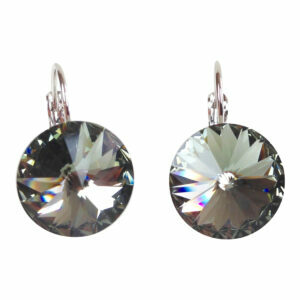 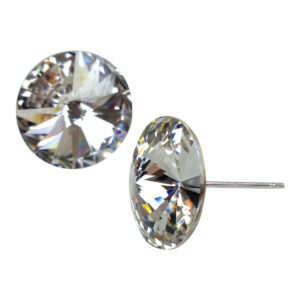 The largest oval faceted quartz is 1-1/2 inches long by 1-1/8 inches wide and 5/8 inch thick. 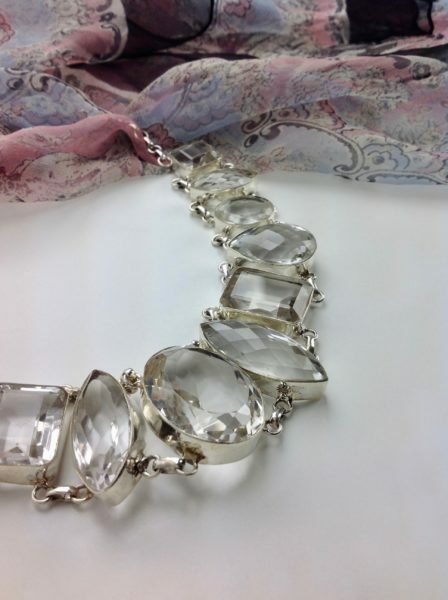 These faceted quartz stones are quite large, with an open back allowing light to flow through these awesome natural stones. 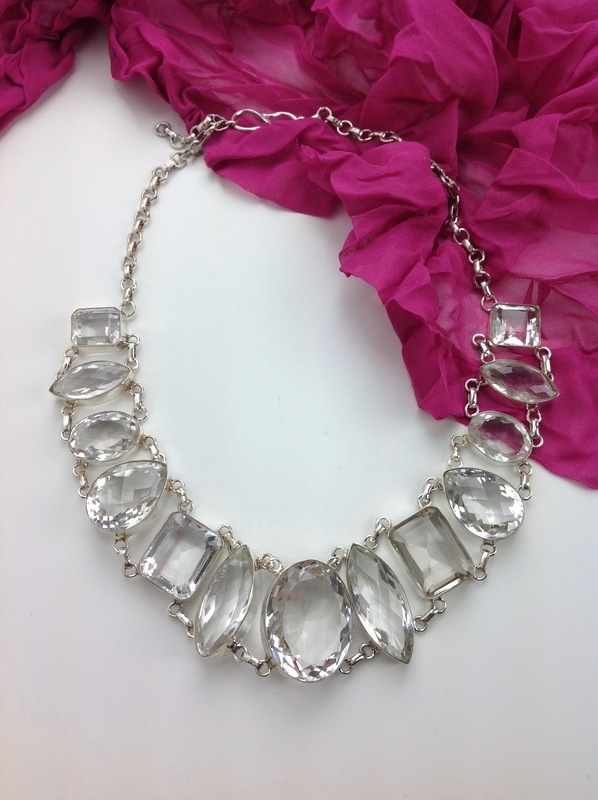 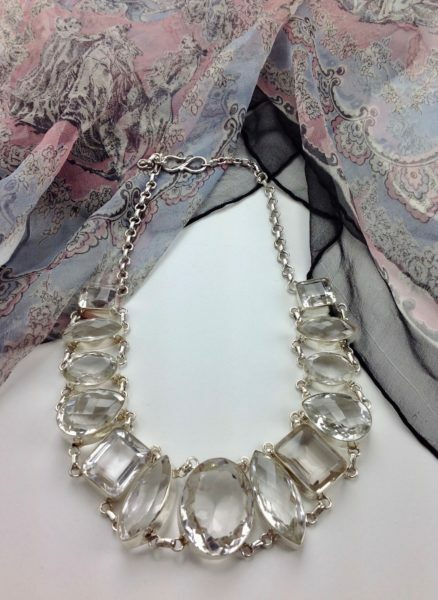 A beautiful gift, and a total statement to a jewelry collection. 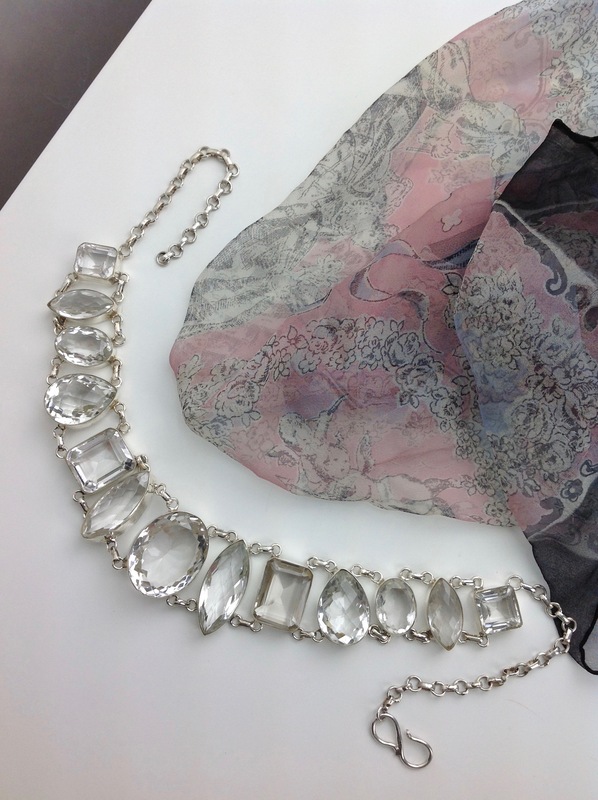 Measurements: 20 inches long not including the clasp x 1-1/2 inches wide x 5/8 inches deep.